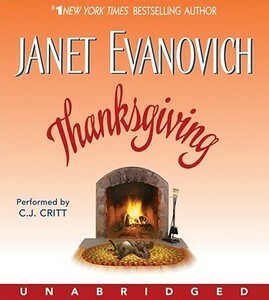 Was looking for a book about Thanksgiving and the only thing I was remotely interested in reading (and could get my hands on) was Evanovich's Thanksgiving. This title was recently re-issued and can easily be found on your local bookstore’s shelf. 1) It was about your everyday people. Megan Murphy is a local pottery artist and Patrick Hunter is the town's pediatrician. 2) They weren't so ordinary as to bore you. Megan has been engaged 3 times (if you count her first engagement at the age of 5) but gets the boot EVERY time. Her bad luck with fiancés stem from the fact that her parents tend to push the relationships on her. Patrick is not the handsome doctor but the guy that is every girls best friend. The 'cute' boy that has a rabbit as pet. Megan meets Patrick when his rabbit escapes and crosses path with her. She goes to return the pet and while she is there one of Dr. Hunter's patients shows up and his parent abandons the boy into the Dr. and his 'wife's' hands. The Mother promised to be back for her son in two weeks and Megan agrees to help with the infant so that the child does not have to get into the foster system. During the time that they spend together pretending to play house, they fall for each other. Megan is a bit weary after having being dumped at the altar the last time, and Patrick is not sure he is in a place in his life that he can have the luxury of a wife and maybe children. But the parent's descend on them for Thanksgiving as well as an ex-boyfriend and a bit of stirring up takes place. The book was entertaining and very short which allowed me to listen to it from start to finish in about 4 hours (unabridged!). Not too over the top, but not a title to blow you away. Booking through Thursday - Presents! It's been a while since I joined in on a Booking through Thursday but this one jumped at me because it's about books as presents, and as Deb celebrated her b'day today (Happy Birthday!!! ), I'll be celebrating on Monday. So let's talk about Presents. What, if any, memorable or special book have you ever gotten as a present? Birthday or otherwise. What made it so notable? The person who gave it? The book itself? The "gift aura?" My daughter used to get me books for my birthday or other occasions all the time. I keep my wish list updated on Amazon so anyone can just pull it up and see what I'm waiting for. This was before I started going paperless. The problem I have with books as presents is if the book was REALLY bad, I will be stuck with the book for forever more. I will not giveaway a book regardless of how bad it is because it was a present. Now the book that immediately comes to mind when I'm thinking of a gifted book is The Memory Keeper's Daughter. It's the last book Dre got me and I recall she said it was to be a book we read together (I read it and then I share it with her) but I haven't read it. I really wanted to read it at the time and now that I have it, it's waiting it's turn. Other books that I've gotten as presents, Megan's Mark by Lora Leigh, Carrie's Story and it's sequel Safe Word by Molly Weatherfield, books by Emma Holly, Shiloh Walker (she got my the earlier Hunter books in PRINT!). These titles will always be on my shelf because they are gifts and it's not about the words between the cover but the person that put it in my hands. 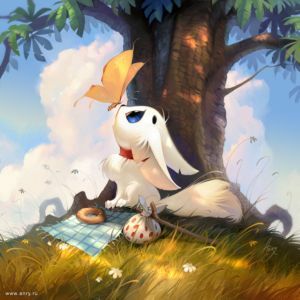 Thank you all for dropping by and participating in The Missing Giveaway. I hope you enjoy the book as much as I did!!! Those that did not win the copy I was giving away, don't forget that Shiloh has a give away going at her site for those that pre-order or purchase the book during this week (READ ALL ABOUT IT). I hope you don't miss out on this one. Oh! And don't forget to VOTE tomorrow! !